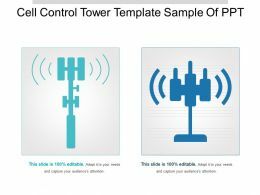 Presenting cell phone control tower template good ppt example. 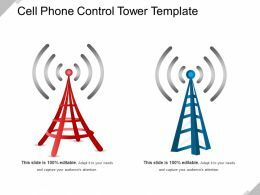 This is a cell phone control tower template good ppt example. This is a two stage process. The stages in this process are command tower, control center, control tower. 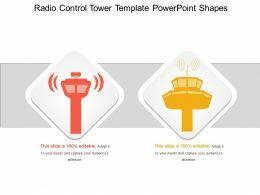 Presenting radio control tower template powerpoint shapes. This is a radio control tower template powerpoint shapes. This is a two stage process. The stages in this process are command tower, control center, control tower. Presenting this set of slides with name - Frequency Icon Showing Radio Frequency And Tower Signal. This is a one stage process. The stages in this process are Frequency Icon, Rate Of Occurrence Icon, Commonness Icon. Presenting this set of slides with name - Frequency Icon With Radio Frequency And Tower Signal. This is a one stage process. The stages in this process are Frequency Icon, Rate Of Occurrence Icon, Commonness Icon. 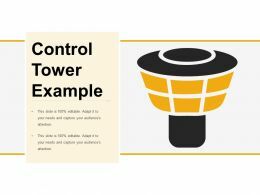 Presenting control tower example powerpoint guide. 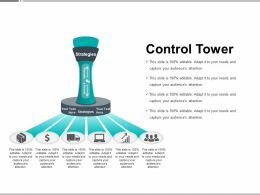 This is a control tower example powerpoint guide. This is a two stage process. The stages in this process are command tower, control center, control tower. 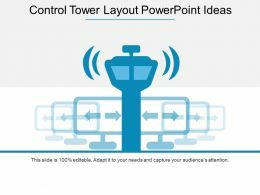 Presenting control tower layout powerpoint ideas. 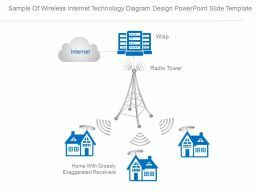 This is a control tower layout powerpoint ideas. This is a one stage process. The stages in this process are command tower, control center, control tower. 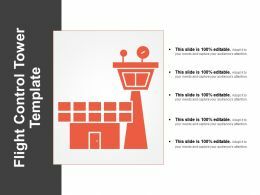 Presenting aero control tower template example of ppt. 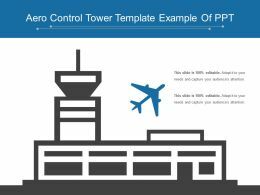 This is a aero control tower template example of ppt. This is a two stage process. The stages in this process are command tower, control center, control tower. 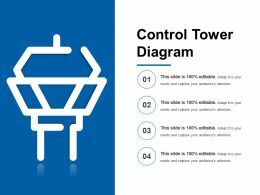 Presenting cell control tower template sample of ppt. 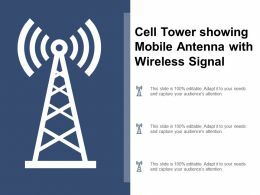 This is a cell control tower template sample of ppt. This is a two stage process. The stages in this process are command tower, control center, control tower. Presenting this set of slides with name - Frequency Icon Showing Tower With Network Signals. This is a one stage process. 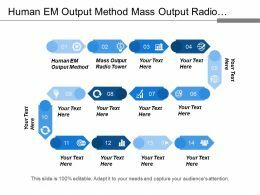 The stages in this process are Frequency Icon, Rate Of Occurrence Icon, Commonness Icon. Presenting this set of slides with name - Frequency Icon With Tower Antennas And Signals. This is a one stage process. The stages in this process are Frequency Icon, Rate Of Occurrence Icon, Commonness Icon. 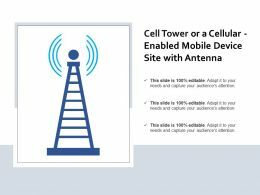 Presenting this set of slides with name - Cell Tower Showing Mobile Antenna With Wireless Signal. This is a one stage process. The stages in this process are Cell Tower, Cell Site, Cellular Network. 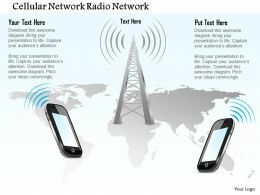 Presenting this set of slides with name - Cell Tower Showing The Cellular Network With Gps Receiver. This is a one stage process. The stages in this process are Cell Tower, Cell Site, Cellular Network. 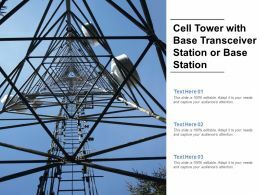 Presenting this set of slides with name - Cell Tower With Base Transceiver Station Or Base Station. This is a three stage process. The stages in this process are Cell Tower, Cell Site, Cellular Network. 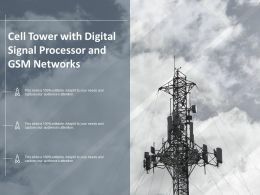 Presenting this set of slides with name - Cell Tower With Digital Signal Processor And Gsm Networks. This is a one stage process. The stages in this process are Cell Tower, Cell Site, Cellular Network. 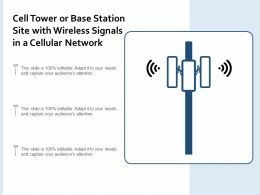 Presenting this set of slides with name - Cell Tower Or Base Station Site With Wireless Signals In A Cellular Network. This is a one stage process. 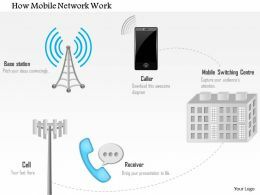 The stages in this process are Cell Tower, Cell Site, Cellular Network. Presenting this set of slides with name - Cell Tower Or A Cellular Enabled Mobile Device Site With Antennae And Electric Signal. This is a one stage process. 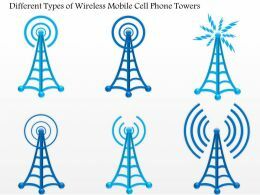 The stages in this process are Cell Tower, Cell Site, Cellular Network. Presenting this set of slides with name - Cell Tower Or Electronic Communication Mobile Device With Antenna Or Transmitter. This is a one stage process. 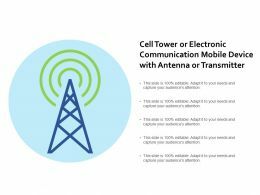 The stages in this process are Cell Tower, Cell Site, Cellular Network. 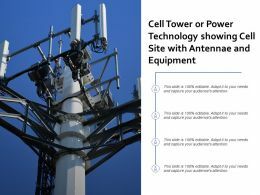 Presenting this set of slides with name - Cell Tower Or Power Technology Showing Cell Site With Antennae And Equipment. This is a one stage process. 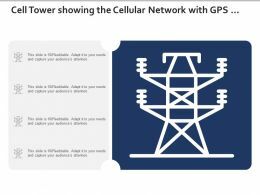 The stages in this process are Cell Tower, Cell Site, Cellular Network. 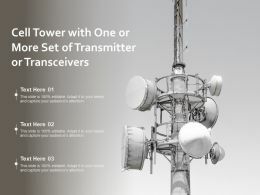 Presenting this set of slides with name - Cell Tower With One Or More Set Of Transmitter Or Transceivers. This is a three stage process. 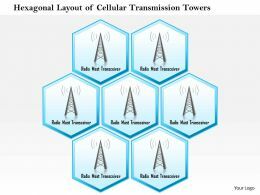 The stages in this process are Cell Tower, Cell Site, Cellular Network. 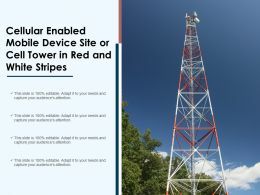 Presenting this set of slides with name - Cellular Enabled Mobile Device Site Or Cell Tower In Red And White Stripes. This is a one stage process. 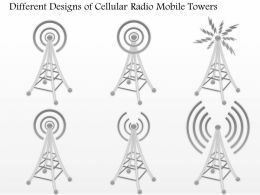 The stages in this process are Cell Tower, Cell Site, Cellular Network.